﻿ U Nimman Chiang Mai (Thailand) | FROM $68 - SAVE ON AGODA! Have a question for U Nimman Chiang Mai? "All staffs these are very well trained and always happy to help guests." "Nice pool and free classes in the hotel for first joiners." 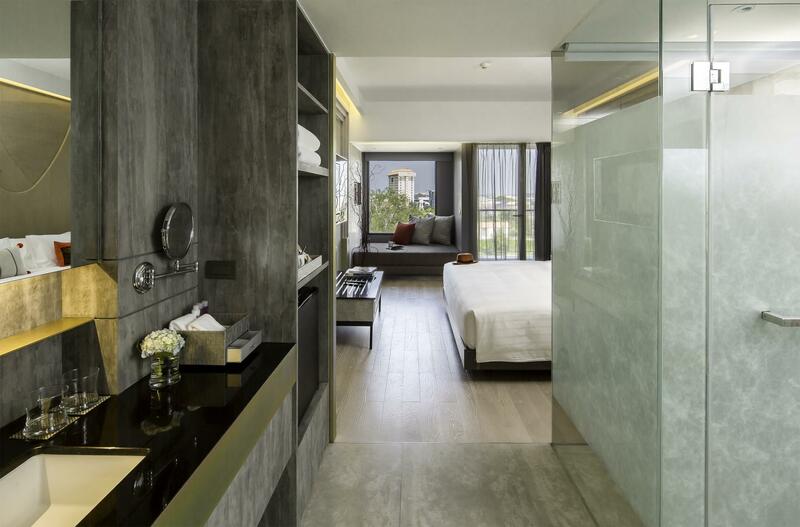 "Location is very convenient, near the international airport..."
When visiting Chiang Mai and surrounding areas, you'll enjoy your stay at the pampering and relaxing the U Nimman Chiang Mai. The property features air conditioning, so your stay will be comfortable. It is close to landmarks and attractions such as Suriyan Jantra, JOJO KOBE Art Gallery, Tidtatidjai, Think Park, and Maya Lifestyle Shopping Center. The property offers city views, giving you a glimpse of the lively city roads. It has several convenient features, such as safety deposit boxes, a library, shops, as well as a smoking area. 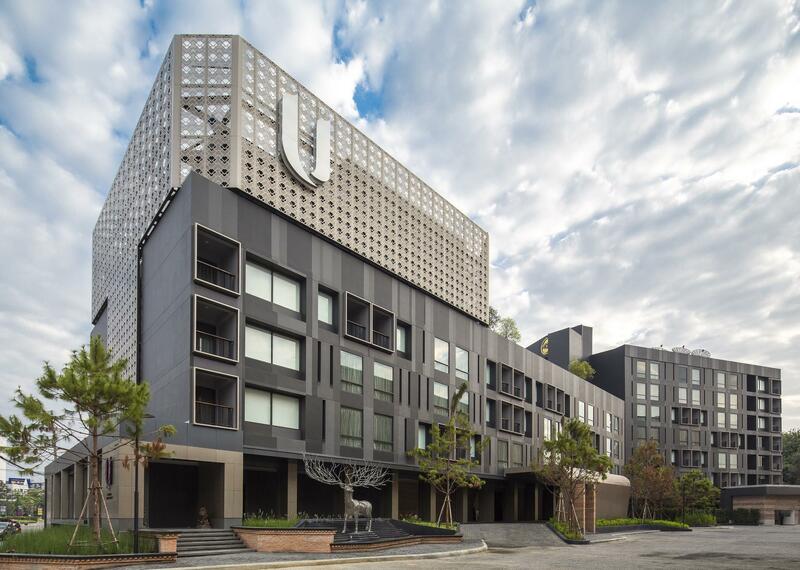 The U Nimman Chiang Mai has a fitness center, a spa, a sauna, and an outdoor swimming pool among other amazing facilities. With tours available, the U Nimman Chiang Mai is a great spot to stay to learn about the area and see everything you can while you're here. From a concierge to a babysitting service, this property offers numerous useful services that guests can take advantage of throughout their stay. It has a bar, a coffee shop, restaurants on-site, a poolside bar, and room service, so there is a selection of dining and snacking choices for you to enjoy. With Thai, American, and Asian restaurants nearby, you can dine out at delicious restaurants and discover your new favorite cuisine. Have a delightful meal at Mango Tango, Pung Kang At Klang Soi Restaurant, esan-cafe, T Station, Cainito Homemade Restaurant or other restaurants nearby. The U Nimman Chiang Mai offers a range of transport options, such as airport transfers, taxi services, and bicycle rentals, getting you that much closer to all there is to do in the area. 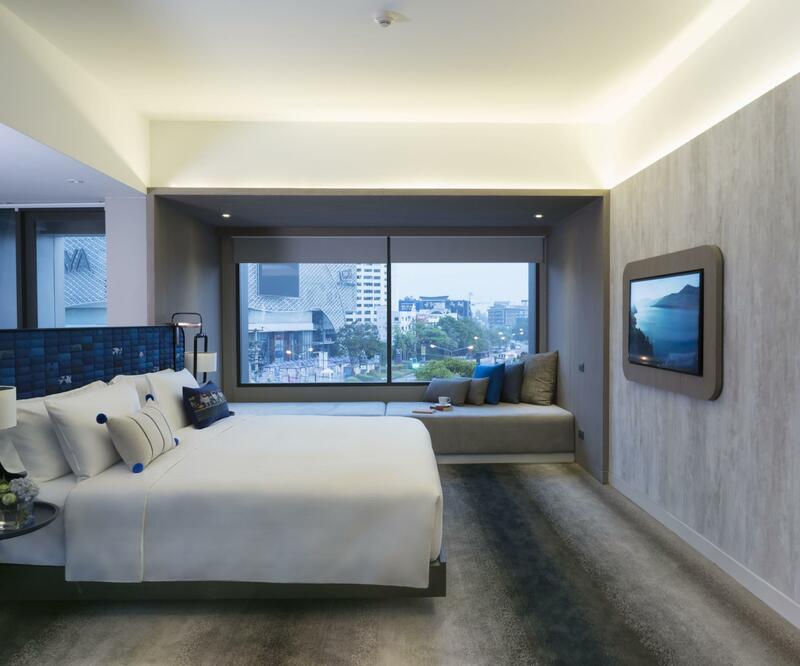 There's free Wi-Fi in all rooms, as well as Wi-Fi in common areas, ensuring that guests are always able to connect with their friends and family back home without overspending on roaming and data costs. 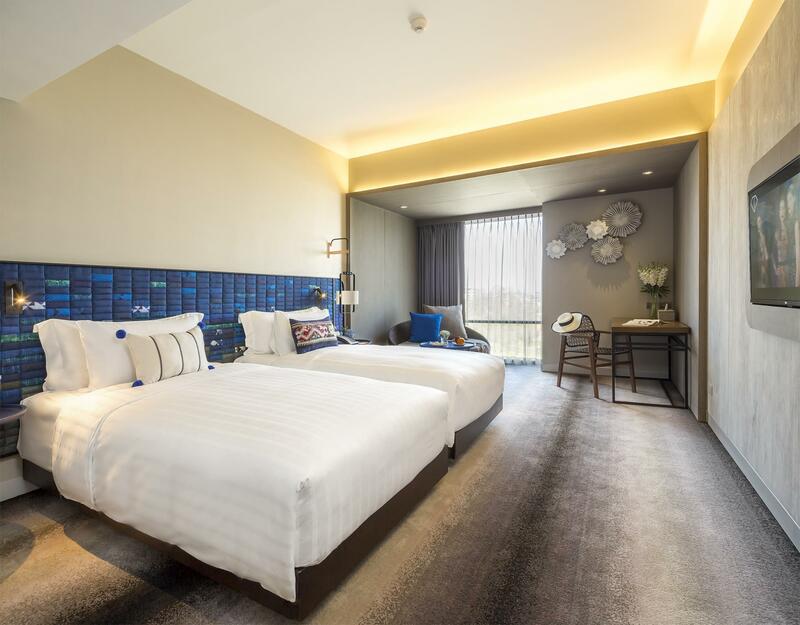 The U Nimman Chiang Mai offers a 24-hour check in and check out service, allowing you to arrive at an hour that is most convenient for you. The front desk is open around the clock, ensuring that there is always someone behind the desk to help you with any queries. Featuring a kids club, the property offers parents a fun-filled and secure childcare option. It features family rooms, so your family will have adequate space to sit together. Also equipped with a kids swimming pool, this property caters to families with children. With pet-friendly facilities, it is great for travelers who wish to bring their pet on vacation with them. Chiang Mai Railway Station is 5.4 km away. "The location is perfect if you like Nimman area, which is mo..."
We only stayed 1 night after our birding trip up to the mountain. Wanted a comfortable night after so many tiring days photography the bird and this hotel did not disappoint me at all. Big, clean and comfortable with the bed. Though the variety for the breakfast does not have a lot of choices, but the quality and taste have left me thinking of going back again for it. Keep it up! We are so pleased to see that you found our service and food good and that you were truly impressed by your overall experience with us. We do hope we have the pleasure of welcoming you back to The U Nimman Chiang Mai in the not too distant future. Thank you for choosing to stay at U Nimman Chiang Mai. We are grateful for your valuable opinions. Kindly accept our sincere apology for this service shortfall. This matter has been bought to the attention of our Front Office team who will ensure that her team deliver the high standard of service to our guests at all times. We do hope that we have a chance to welcome you back into the U Nimman Chiang Mai in the near future. Quite a new hotel and great selection at breakfast. Rooms are good value although just be aware bathroom is open so limited privacy. Great eateries and shops near by would recommend to stay here. It is out of old city however it is not expensive to go into old city. Overall a nice stay that is well worth it. Thank you very much for taking the time to review U Nimman Chiang Mai and for the kind words toward the service you received. We hope that you will consider returning to our hotel again in the future. Never had it better staying in Chiangmai at is this hotel for the first time compared to many that we have stayed. The moment you check-in, you feel sincerely welcome by the frontline staff. That's a big plus! Overall all staff that we came into contacts have been extremely helpful. Room is clean & everything works within. Breakfeast spread is good. Location was great with short walking distance to cafes, shopping centre & popular eating places. Thanks you U Nimman for the great hospitality. We were very happy to read that you enjoyed the service delivered by our team; they do constantly strive to exceed all our guests’ expectations and it is truly what sets the U Nimman Chiang Mai apart from other hotels in Chiang Mai. We hope to welcome you back with the impressive experience you rightfully expected in the future. Bathroom is big but all the amenities are way too far from each other. 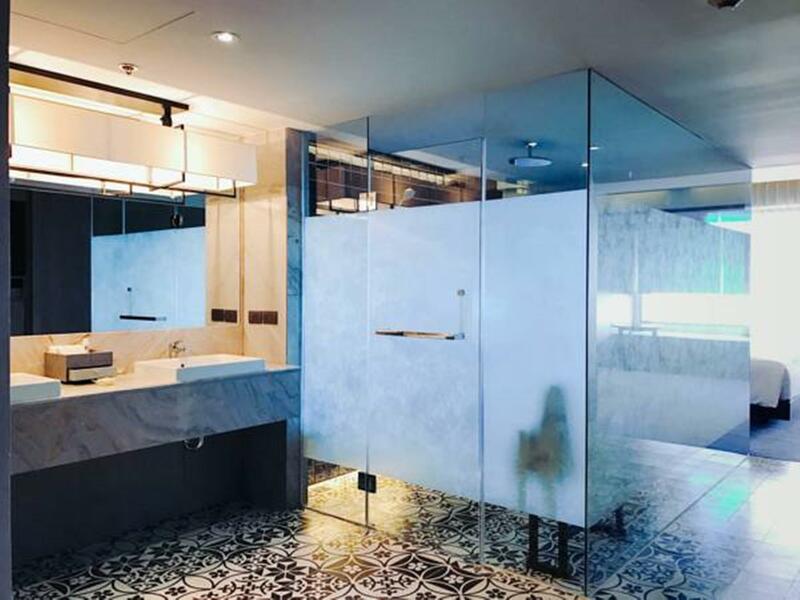 The basin is located near the door of the room while the toilet and the bathroom is way behind the basin unless there is no issue of walking around the whole bathroom area naked...The good point is great location coupled with great services from the staffs. Yes the room is big and the bed is very comfortable. We are delighted to learn that you enjoyed your stay with us. Your compliments on our location, the comfort of our bed and the friendliness of our staff are much appreciated. Hopefully, we will have a chance to welcome you back again sometime in the future. U Nimman Chiang Mai team! Thanks for taking the time to leave your review and we're pleased that you found our staff and service very good and friendly. We have shared your feedback with all the team, who are absolutely thrilled with the news. We do hope that we have a chance to welcome you back into the U Nimman Chiang Mai in the near future. Your kind words on our staffs’ friendliness and facilities are much appreciated. It’s also a delight to learn that our convenient location and rooftop pool was to your liking. We truly hope we can welcome you back to enjoy everything our hotel has to offer. U Nimman Chiang Mai team! we arrived earlier than checkin time but staff prepared room as complimentary service. all staffs these are very well trained and always happy to help guests. it's difficult to find such staffs all in high level even in executive class lounge in 5star hotels in BKK. really impressed. and location wise it's right next to one nimman, newly opened shopping/community mall. also walkable to many nice cafes and restaurants on nimman. we'll come back to this hotel for sure soon. We were delighted to read your positive feedback and will be sure to pass on your kind words to all of our staff as I know they will be delighted to read your comments. Your feedback is greatly appreciated and will inspire our staff to continue to strive towards outstanding customer service. We look forward to having you back soon, U Nimman Chiang Mai team! I got allergy with the bed, but the staff changed the room for me, everything getting better. The lift was under maintenance, that the guests must use the only one staff lift. They fixed that problem at the last day i stayed . We are very sorry to read that you left the U Nimman Chiang Mai under a negative impression and we would like to apologize for the inconvenience caused during your stay. We can assure you that the kind of situation you experienced is most unusual and certainly not to the standards and service that we wish to provide in our U Nimman Chiang Mai. We do trust that you will allow us the opportunity in the near future to restore your confidence in the services that we provide here at the hotel. I will highly recommend the hotel to others. There are a lot of restaurants nearby and 2 shopping malls. Food stalls can be found at Think Park, it is very convenient. The room is clean & big. Staff is friendly and smart, especially the girl called Bye. It is a delight to know that our convenient location fulfilled your needs for leisure activities. Thank you for your praise on our staff performance and recommending our hotel to other travelers. We hope you'll come back to visit us the next time you're in Chiang Mai. U Nimman Chiang Mai team! The location is perfect for explore nimman. It's next to one nimman (the shopping mall). Also a huge choice of restaurant and coffee shop around the hotel. The facility is nice. Service and staff is 100% ready to serve. Thank you for highlighting our facilities, the convenience location and, most importantly, the staff's friendliness. We do hope we have the pleasure of welcoming you back to The U Nimman Chiang Mai in the not too distant future. Great location if prefer more modern surrending than old town area. Across from Maya mall. Right next to Nimman one. Restaurants, shops and massage places all within walking distance. We stayed in a 2-bedroom unit. Big, comfy and functional, perfect for a small family. Plenty selection for buffet breakfast. Highly recommend. It is a delight to know that our convenient location fulfilled your needs for leisure activities. Thank you for your praise on breakfast offering and recommending our hotel to other travelers. We do hope that we have a chance to welcome you back into the U Nimman Chiang Mai in the near future. We appreciate your compliment on our location, facilities and the service rendered by our staff. Your kind words will be passed on to them so they are motivated to provide a high standard of service to our guests at all times. We appreciate your comment regarding the breakfast buffet at Eat @ Rincome restaurant. Our Culinary team has acknowledged this valuable comment for improvement. Thank you for bringing it to our attention. U Nimman Chiang Mai team! It is indeed pleasurable to read about the service you encountered, especially from our porter at U Nimman Chiang Mai. We will be sure to share your excellent feedback with the staff during our morning meeting tomorrow, with all of them set to be delighted with your comments also. We have noted on your comment regarding the breakfast offering. We will look into the improvement in this important meal period. Thank you for recommendation and bringing them to our attention. We certainly hope that you will visit us again in the future as we would love to think of you as a returning guest. U Nimman Chiang Mai team! Right next to Nimman area! It is a delight to know that our convenient location fulfilled your needs for leisure activities. We are grateful for your review and hope to welcome you back before too long. U Nimman Chiang Mai team! The location is perfect if you like Nimman area, which is modern and developed city life style. The hotel is inside the One NimMan Centre, which has many stores, restaurants and Coffee shops. Opposite to Maya Shopping Center. Easy to access everywhere. The Motorbike renting services are around aproximately 500m. Everything is perfect. The room is not as large as my ecxpectation but valuable money. Staff are good enough but not professional because Hotel offer a 24 hours check in - chect out but receptionist did not annouce us, moreover the receptionist also did not advise anything about the breakfast which included in my booking. But the breakfast is very good. They have many choices and variaty foods. Totally, my valuation is 9/10 Tip: you should try the restaurant named Hong Tauw Inn. Have a nice holiday!!! Thank you for your time to provide the feedback of your recent stay with us. We would like to offer our sincere apology for the service issues you have raised regarding check-in process, benefit information during the stay. Our Front Office team has been made aware of these issues and more training will be provided to the team for improvement. We would like to thank you for highlighting these matters to us. Your valuable feedback is important for our service improvement to ensure the highest satisfactory of our guest during the entire stay. Nevertheless, we appreciate your compliment on our breakfast and our convenient location fulfilled your needs for leisure activities. We hope for another opportunity to welcome you at our hotel and will do our best to ensure it will be an enjoyable and memorable one. U Nimman Chiang Mai team ! This hotel was amazing! It is clean, amazing breakfast, perfect staff and pool and gym. The only negative point is that it’s a little bit of far from all the action in the main city. If you’re willing to take public transport to get to the main city this hotel is well worth it. We are so delighted to hear how much you enjoyed your recent stay with us, at U Nimman Chiang Mai. Hopefully it won’t be too long before we have the chance to welcome you back. The location is enough for those seeking excitement and shopping and is safe. There's lots of food around. The king-sized bed was huge and extremely comfortable and the room was very spacious and the bathroom layout was most interesting. I found the staff very polite and helpful especially when I went down very late to the Eat@Rincome restaurant (where breakfast which is included, is served). I was greeted and served very graciously. The place looks very new and well-looked-after and is family-friendly.. Im so glad I found this place and stayed there, alas, for only one night. 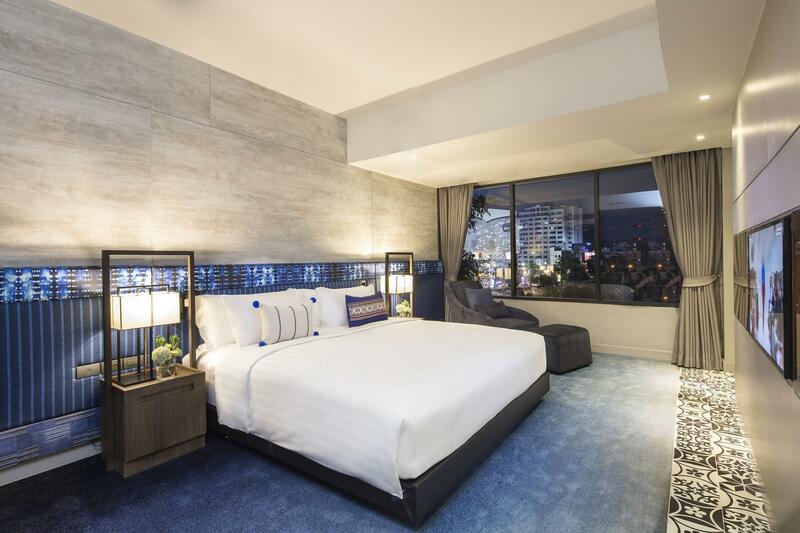 Thank you for sharing your review of U Nimman Chiang Mai. We are always grateful when our guests recognize the charm of our hotel and the quality of guest services we offer. Hopefully, we will have a chance to welcome you back again sometime in the future. When we fly visiting here in ChiangMai, we always stay here. Located in the heart of Art street of ChiangMai. Famed Nimmanhemin Street is the hip/ arts & culinary street in ChiangMai. It's brand new hotel, attentive staffs always to served you. Adjacent to "One-Nimman" the fun & cheerful community mall. Staying here on Nimmanhemin street, you can have a various & delicious meals all day in walking distance. Their rooms are so comfy & clean, well decor. Great food, attentive staff and stylish surroundings are hallmarks of Chiang Mai so it is good to know we are achieving what we set out to do and we are so pleased we made this a memorable experience for you. We certainly hope that you will visit us again in the future as we would love to think of you as a returning guest. U Nimman Chiang Mai team ! We had to take taxis to go to the old city but this hotel was really good, old city is a little bit dirty and smelly but the area of this hotel was really nice and there were shopping center closeby. Breakfast was so good, service in reception very polite and helpful, room was big and very clean. Your kind words on our staffs’ friendliness and the cleanliness of our rooms are much appreciated. It’s also a delight to learn that our convenient location and room design was to your liking. We look forward to your next visit and would love to welcome you back for any occasion. U Nimman Chiang Mai team !